The Air Jordan 6 was released for the 1990-91 season. This season and this shoe was part of a defining moment for Michael Jordan and all of the Air Jordan's. It set the Championship Ring against the Legendary LAKERS and the long haul was worth the sweet victory. We seen the 6 Retro take over the 2014 campaign for Jordan Brand, but one of the most wanted shoes have arrived. Originally released on 1991 this "Sport Blue" color way has only been released once to the public, this might just be the biggest hunt for the end of the year. 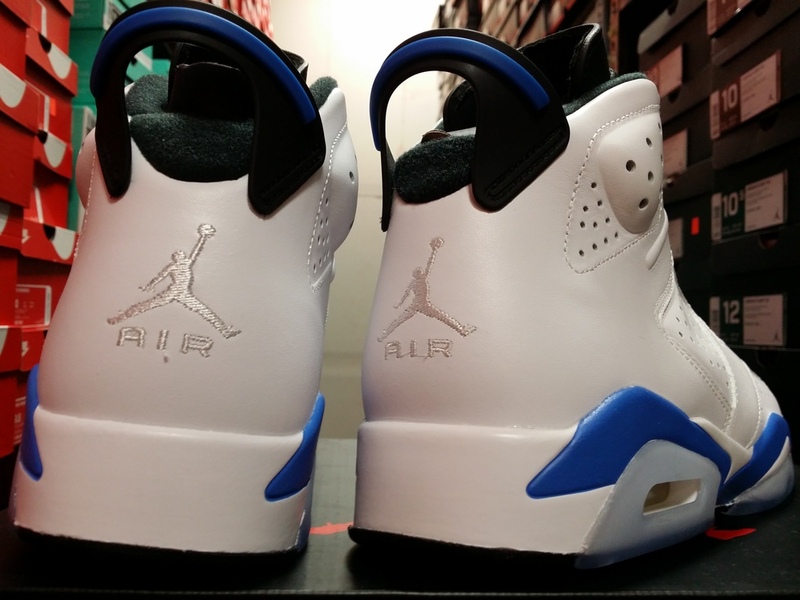 The Retro 6 comes featuring a White-based leather upper, with Sport Blue accents hitting the lace-lock, Jump man logo on the lower tongues, the back heel tab and midsole. Black detailing hints are found on the upper-half of the silhouette that includes the inner liner, tongues and heel tab. The “Sport Blue” Retro 6 is finished with an icy Blue translucent outsole. Click on the Images bellow and SPEAK YOUR MIND on these Classic Restocks, don't miss out on a chance to get these shoes, since they have not been released since 1991. Raffle Only both Men & GS sizes. Raffling ends Thursday, August 29, 2014 at Noon. Winners will be called Friday evening between 4pm-6pm. Asics Gel-Lyte III "Paisley Pack"